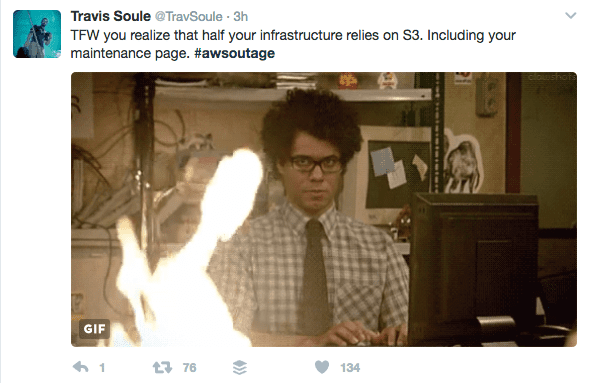 What Happens When Amazon Web Servers S3 Goes Down? 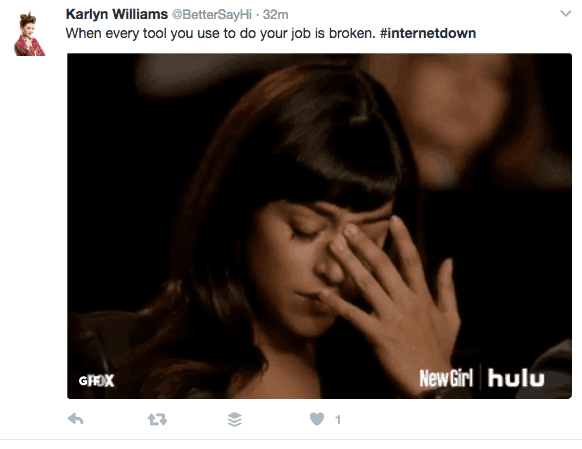 One of the world’s leading internet hosting providers reported issues that caused many websites and apps to stop working Tuesday. 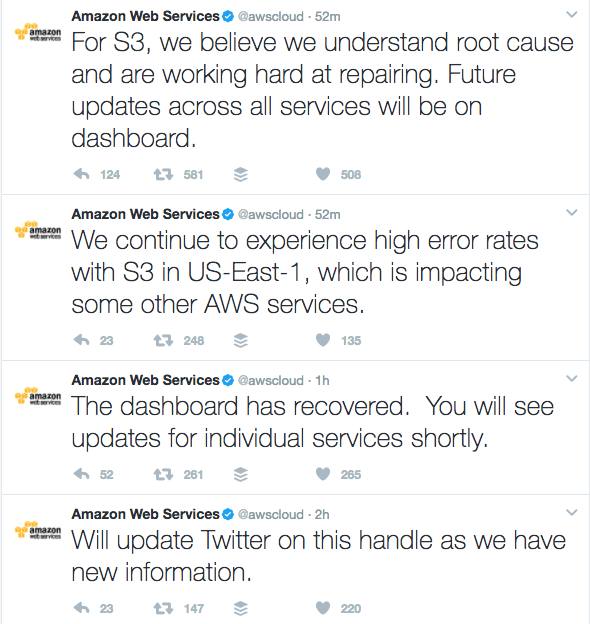 Amazon Web Services S3 servers reported issues in the Northeast just after 1p.m. We’ll be sure to keep you updated, so feel free to follow us on Twitter (@IMCLongIsland) for all of the funny tweets we can find; plus an update when the issue is finally resolved! 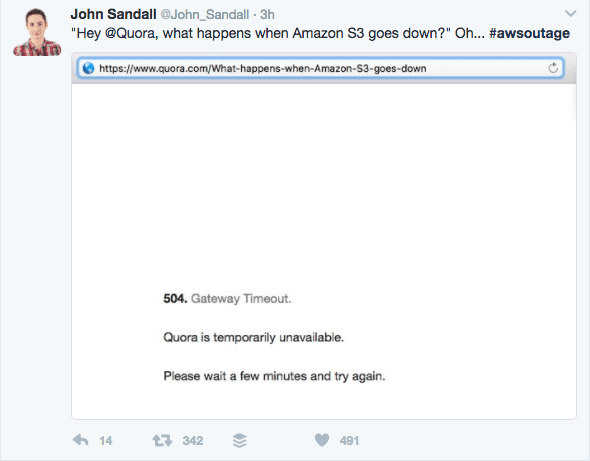 What Sites are Effected by the Amazon Web Services Outage? Companies that use Amazon Web Services also include: Pinterest, AirBnB, Netflix, Buzzfeed, Spotify!!!!! Though they aren’t completely down, they have experienced some slowdowns. Today’s websites typically pull from multiple databases in the cloud; which means entire websites shouldn’t be down. 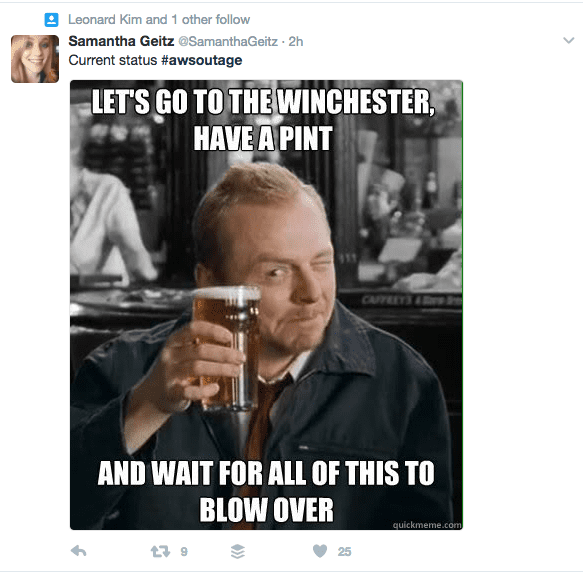 For that reason, entire websites rarely go down but various part of them may take a long time to load or not load at all, leaving broken links or images or lack of functionality. 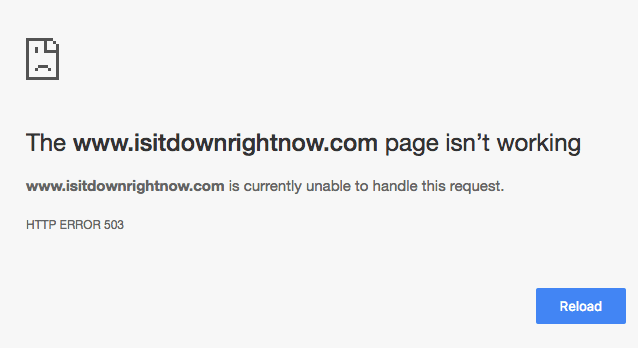 Hence the above list of websites who aren’t totally down, but functionality is struggling. So What Does Amazon Web Services Have to Say? 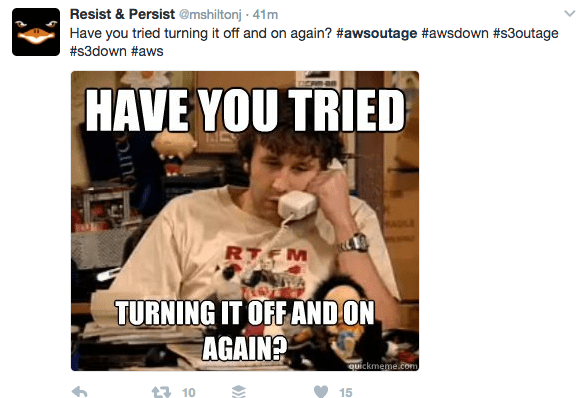 They are keeping their Twitter Feed updated; so follow them on Twitter @awscloud. Don’t panic, take a walk, breathe, or maybe even take an Office Brain Break – it’s Amazon, they will be back up in no time! Infinite Media Corp. is an IT Support Company and Internet Marketing Agency based in Long Island, NY. 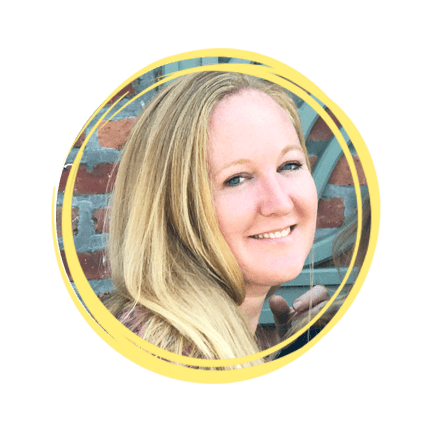 Our joy is following tech news and bringing it to our customers, and we also love providing technical support to small to medium sized businesses. Give us a call any time 631.756.6000.